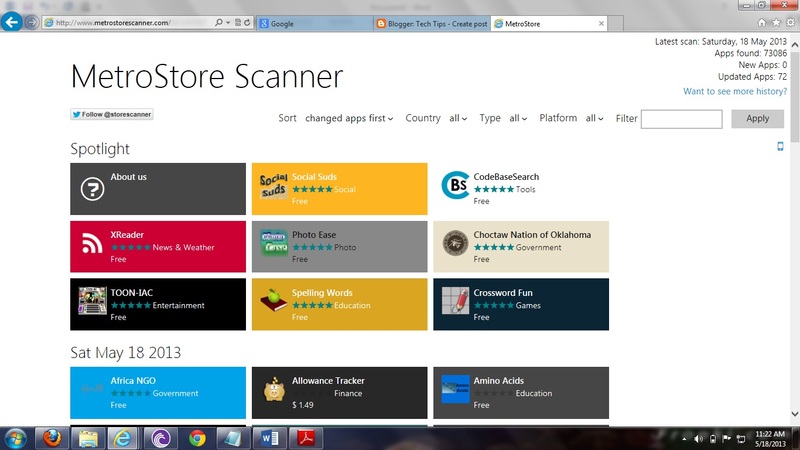 Sometime back, the only way to access the contents of the Windows Store was by means of an app in Windows 8. If you want an overview of the Store's more than 45,000 apps, but don't have Windows 8 installed, you don't really need to install Windows 8. You can now manage to do so free of cost with the help of the website MetroStore Scanner. Open the webpage www.metrostore.Preweb.sk. The search function with the field "Filter" lets you search for specific apps. Using the menu filter, the view can be restricted to the apps available in India under "Country" and with the setting "en-in". The filter "Type" enables you to select from categories like Finance, Games or Social.